Due to small, minuscule, scheduling error Your Favorite College Football Prognosticator “nearly” had the Bowl picks out tomorrow rather than today. The results of such an oversight I recognize would have been catastrophic. It’s enough to make one choke on a leftover popcorn ball from Christmas. I shudder to think what would have happened “IF” I hadn’t had the Picks out for such Classic Bowl games as the “Foster Farms Bowl” and God forbid I would have missed the “Walk-On’s Independence Bowl”. Fortunately disaster has been avoided. We interrupt the normal “Weekend Rewind…” and other college football news for some “Breaking” college football news, that I am sure you are already talking about. EDITORS NOTE: “Yes” I am serious…..
For those of you who may have been far too busy on Christmas Day to have enjoyed such enjoyable programming, that was I might also add, “Fun” for the whole family, let me describe what this incredible program entailed. The program was four straight hours (Without commercial interruption!) 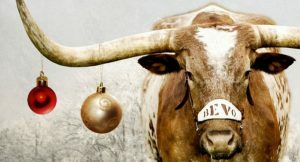 of the University of Texas mascot “BEVO” walking around in a field, pooping, licking his hoofs, rubbing his be ole head on a tree and all to Christmas music! EDITORS NOTE: It was the dumbest damn thing I have ever seen…. Dare I say the individuals that came up with such an endearing programming from the Longhorn Network are Brilliant! This ingenious programming idea, like all great ideas where quickly copied through the sports programming networks on Christmas. Here is a brief thumbnail of the excitement of watching UGA enjoy his Christmas while listening to Burl Ives sing “Silver and Gold”. WISCONSIN: You think the Land of Cheese wasn’t paying attention? 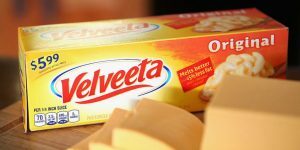 Quicker than you can say “microwavable cheese” the good people in Madison had their programmers set to watching this block of Velveeta while listening to festive tunes. 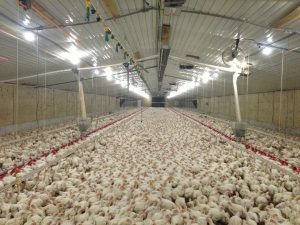 SOUTH CAROLINA: The Gamecocks of South Carolina came up with perhaps one of the most ingenious twists on this idea, by programming several hours inside a commercial poultry house with a call in contest to “Guess which ones are Roosters”. “BEVO, Home for the Holidays!”, that they immediately called all the local television affiliates in their local area had had them run “Lassie Comes Home” on a loop. 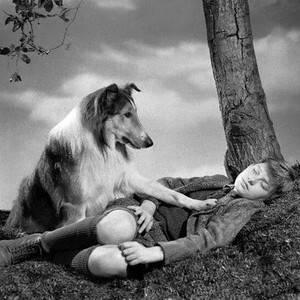 Not the whole program, just the segment when Lassie saves Timmy from the well. COLORADO: Often times when others try to copy “Genius” it falls flat, as was the case with the University of Colorado Buffalos. In an effort to “copy” the University of Texas, the folks in Boulder had three hours of televising Wynona Judd having her back shaved and her hoofs painted while “Grandma got run over by a Reindeer” playing in the background. FLORIDA: With all the upheaval in the Gator Athletic Department as of late with “Deaf Assassins” and threats against Santa Clause, all they could afford apparently was running “Geico” Insurance commercials on a two hour loop. At least the “Cowboys” of Wyoming showed John Wayne movies…. TENNESSEE: Perhaps the worst attempt to “copy” the University of Texas Holiday programming came from none other than Knoxville, where most people think “ingenuity” is something you can order at an Italian restaurant. I won’t provide any pictures here, because as you might understand it would be too disturbing for the younger readers. 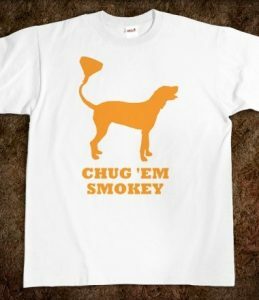 But using their dog mascot “Smokey” in the promotion is wrong in so many ways. We heard you were down in Georgia for Christmas!! A: No I didn’t Brad, and in case you were wondering…..
Do you have any “New Years Resolutions” that you care to impart on us? Thank you for all the great picks this year and stories! A: Thank you so much for the kind email Parker Family. I think New Years Resolutions should be goals that are easily achieved. Too many people have goals and aspirations for the new year that are simply not achievable, which can invariably lead a person to “give up” and quit the pursuit of those goals altogether. The coming year I will NOT, under any circumstances circumcise any rabid raccoons. I will NOT bring a Polar Bear into my house, “Yes” that also includes Wynonna Judd in a white coat, I’m not going to do it; Period. Then all bets are off, I’m just saying…. Before you ask, even “IF” I only get the last two of these right in the next year. I’m not really quite sure what they are promoting here…..
Then why not couple that with a tennis ball manufacturer? It will always be the Good Ole Weed Eater Bowl to me! This bowl game is located in the Bronx, New York….. But I do know that the fine family of “Boones” Farm makes some delicious wine to be enjoyed by adolescents and underage drinkers everywhere. The “ASOTB” game as it has come to be known…..
Hell no I won’t pick against the Midshipmen! 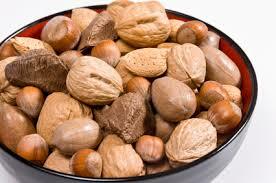 Let me clarify this bowl game for you all….. Regardless of where I am…..
Another of the misnamed Bowl games for you…..
Don’t they mean “Belt” Bowl? I don’t often guarantee a pick on a Bowl game….. I do love me some Memphis bbq….. I really wish I cared, but I don’t understand how a ‘Play Station” can be a Fiesta? Maybe if you played in Juarez Mexico while dodging gunfire and drug cartels..
Well, at least the Hurricanes didn’t have to drive far to get their asses kicked. WHAT? NO BOWL GAMES ON NEW YEARS EVE!!!!!! Don’t count out the Golden Knights in this one…. Notre Dame please see my thoughts on Michigan above and apply them to yourselves. After my third liver transplant of this college football season, I hope to return next week for the “Championship” Picks that will include James Madison and North Dakota State. For those of you that are suffering through this college football season and perhaps even those of you that have had a difficult holiday season there is an article on Mikerights.com that is all about “Hope”. There is more (Maybe) next week…. Thank you all once again for riding along with me through yet another college football season. I hope that I got a giggle or two out of you throughout the season and occasionally gave you something to pause and think about. On behalf of My Black Lab “Doc” and I, we thank you all wish each of you a joyous, healthy, happy 2018 New Year.